ASP.NET MVC 5 Hosting - HostForLIFE.eu :: How to Make ASP.NET MVC 5 Run in Ubuntu? ASP.NET is a programming framework to create web application server side. ASP.NET using C # code is well structured so it is easy to understand and repair. C # also provides a variety of code hint, hint error before the code is executed. C # is executed using JIT system, so it may be able to run faster than interpreted languages like PHP. But until a few years ago ASP.NET can only run on windows platform. Because there are some who still is Microsoft's patents, these projects difficult to run optimally and tend to be limited compatibility, even dotGNU project to a halt in 2012. 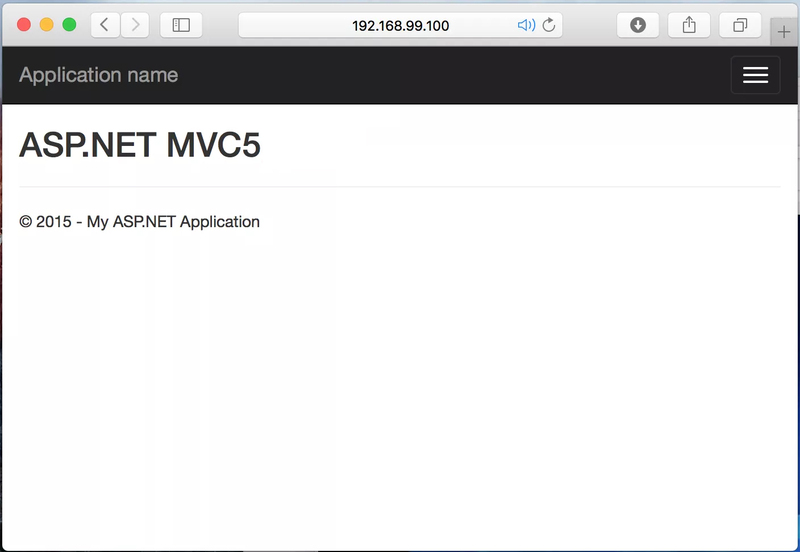 So today I will discuss about how to run ASP.NET MVC 5 on Ubuntu Linux. Computers with 14:04 LTS Ubuntu operating system. 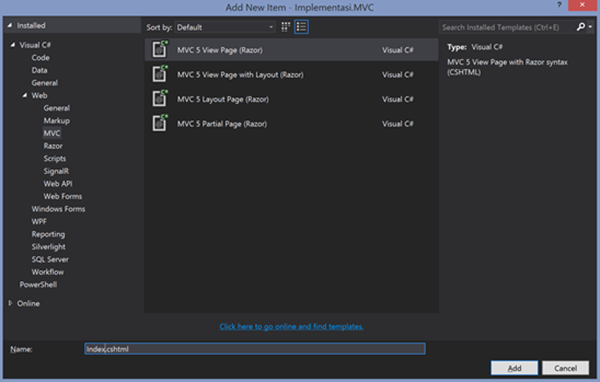 ASP.NET MVC 5 that has been published. How to Make ASP.NET MVC 5 Run in Ubuntu? Input Mono into the system package list, this needs to be done so that the mono version that will be installed up to date. make sure you run the code below line by line. Copy-paste the following lines into the console, adjust the path and name if necessary. click ctrl + o, enter the ctrl + x to save the file. Create a new folder in the / var / www / html / testasp, adjust permissions folder if necessary. Asp.net files will be stored here. Enable configuration site that have been created. Upload or copy the files you want to run ASP.NET MVC into the folder / var / www / html / testasp. Test sites in the browser, adjust your url with IP engine. Done. You have been successfully run ASP.NET MVC 5 on the Linux operating system. ASP.NET MVC 6 Hosting - HostForLIFE.eu :: How to Create & Update Cookie in ASP.NET MVC? Today, we will explain you about how to create and update cookie in ASP.NET MVC. An HTTP cookie (also called web cookie, Internet cookie, browser cookie or simply cookie), is a small piece of data sent from a website and stored in the user's web browser while the user is browsing. Every time the user loads the website, the browser sends the cookie back to the server to notify the user's previous activity. Cookies were designed to be a reliable mechanism for websites to remember stateful information (such as items added in the shopping cart in an online store) or to record the user's browsing activity (including clicking particular buttons, logging in, or recording which pages were visited in the past). Cookies can also store passwords and form content a user has previously entered, such as a credit card number or an address. Here we will give an example of how to create ASP.NET MVC 5 page with examples, they can be seen on ASP.NET MVC framework to be displayed on the web browser. We are going on to describe some things about the basics of ASP.NET MVC that should be known. You need to know what is included on the MVC Pattern Architectural Pattern. And software design pattern that is used in ASP.NET MVC is Front Controller, which means that the control will be concentrated in a class alone. 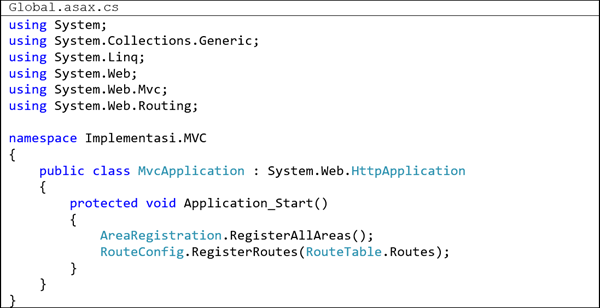 While ASP.NET Web Forms is different because it has a controller on each page. In ASP.NET MVC 5, the address will be written in the address bar on your web browser does not show as physical files, because of the configuration and routing processes that can be seen in Global.asax.cs and RouteConfig.cs file (folder App_start). Global.asax file can also be found on the project ASP.NET Web Forms, this file serves as an application file that is responsible for the events at the application level is raised by ASP.NET or HttpModules. At the time the application is run, namely on Application_Start method, can be seen there are file event handling. Then it can be seen on these methods belong to the class RouteConfig. 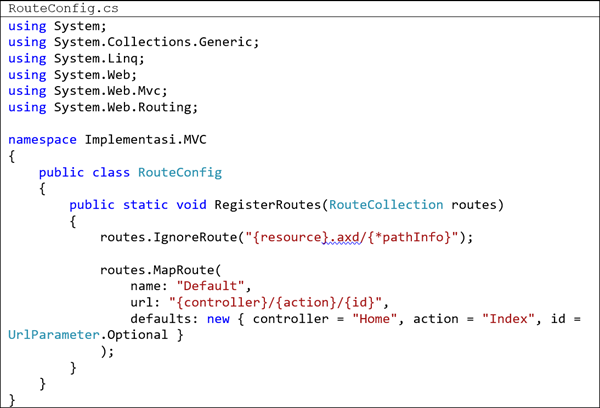 Here is the content of the class RouteConfig residing on file in the folder App_Start RouteConfig.cs. It can be seen that the name of the default controller is used in this application is Home. This means that if you follow the code needs to be created with the name of the Home controller class, and then save it in a folder Controllers. 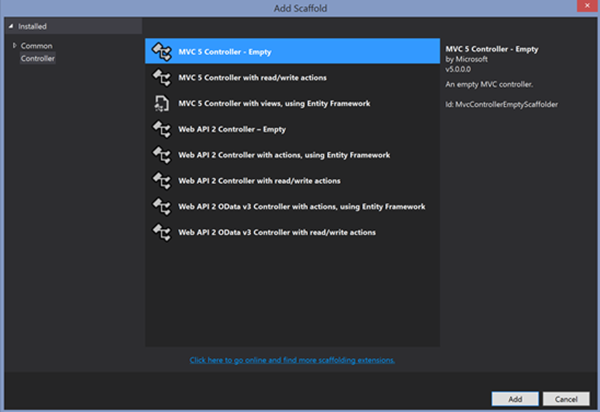 Select the MVC Controller 5 - Empty and then click the Add button. It will display a window Add Controller that serves to give the name of the controller class that will be created. For example, assign a name to the Home Controller Controller name column, then click the Add button. Then make special view for HomeController class in Home folder with index.cshtml. Then right click on the Home folder, then choose Add > New Item. After that, Choose MVC 5 View Page, give a name as you desire, click Add button. ASP.NET MVC 6 Hosting - HostForLIFE.eu :: How to Adding Robots.txt to your ASP.NET MVC Applications? One of the things I always forgot to add to my web applications is the Robots.txt file that Search Engines use to see what they should index. This file and sitemaps help make your site easier to navigate by the bots and allow them to understand what's legal and what you'd rather not have the revealed in their engines. I usually add any administrative pages or account pages even though they're protected by security, no need for the login page to be index if they sniff the link. So how do you add Robots.txt to your MVC application? Glad you asked, here is a little code to get you started. 1. Select the controller you would like to use for the robots.txt output. I chose the HomeController in my application as I use it for most “top level” generic links like about us, contact us, index, etc. 2. Now, create a method called Robots to handle the request. 3. Add the Robots.cshtml view to your Controller’s View directory. Here is the code I have in my view, yours will vary. 4. Load up the class you are using to control your routes, if you are in an Area, this could your AreaRegistration class. If you are at the top like I am and using the standard MVC template, this is probably the Global.asax.cs file. Add your route to this file, mine looks like this. If you've got an internet facing site, the chances are you will have a bot find you're request this page. you might as well give them the benefit of the doubt and allow them to understand where you want them to go. additionally you may save yourself some error log when this page is requested and no controller is found. Just like something in ASP.NET, there are many ways to solve this riddle, if you use a different approach, please feel free to share it in the comments.